Scissor concealing platform structure which occupies a small space. No need for ground pits. Device is stable and reliable, work is relayed on imported hydraulic, pneumatic and electrical components. The pneumatic wide teeth self locking insurance system and anti-explosion pipe equipment ensures the safety and reliability of the device. Unique sliding system and closed platform. 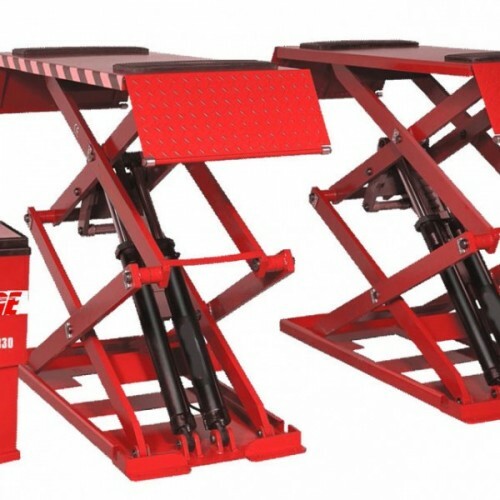 Easy for tyre mount and dismount and chassis maintenance. Lengthened platform and automatic rising car baffle is suitbale for various types of automobile.